With housing prices plummeting by 10, 15, even 20 percent in some areas you might think it would be impossible to sell some of the priciest homes in Las Vegas. Think again. Kenneth Lowman, Broker/Owner of Luxury Homes of Las Vegas, has sold four separate homes valued over $5,100,000 in the past eight months with some taking as little as 51 days to sell and one going for $1,047 per square foot. The Greater Las Vegas Association of Realtors Multiple Listing Service reports 56 homes selling in the past twelve months valued at over $3,000,000. This is an increase from 39 the prior year. “I specialize in the marketing and sale of luxury residences. Our sector of the market is not as highly impacted by fluctuating interest rates or general market conditions. I have actually had multiple offer situations on some of these properties,” Lowman observed. 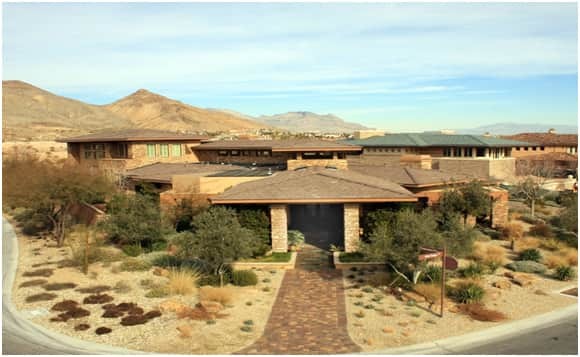 The Ridges, a guard gated village in Summerlin, recently reported a 3 acre custom homesite selling for $9,000,000 or about $3,000,000 per acre. This was the highest price ever paid for a custom lot in The Ridges. “You can just imagine the home that will be built on that site. If the buyer spends another $9,000,000 on their home construction, they’ll have $18,000,000 into the home to begin with,” Lowman remarked. 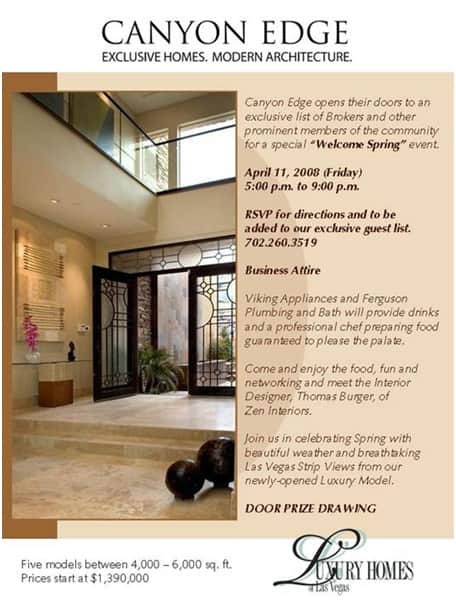 On April 18, the 2008 Las Vegas Parade of Homes kicks off with luxury properties throughout the area priced from $2,700,000 to nearly $20,000,000. “We’ll see some pretty stunning, innovative and luxurious homes in this year’s show,” Lowman said. He has the marketing and sales assignment on one of the event’s listing, the model home at Canyon Edge in Henderson. Canyon Edge offers dramatic strip views, modern architecture and an elegant sophisticated style. Lowman sees a bright future for the luxury market. “The luxury market has continued to evolve and can now offer a product like it never could before to some of the world’s most affluent buyers. I’m confident we’ll see some more record breaking years here in Las Vegas.” Lowman may be right. According to Merrill Lynch’s World Wealth report published in June 2007, the number of “ultra-high net worth” individuals- those with $30 million or more – increased by 11.3 percent. Also, there are now 9.5 million millionaires worldwide, an 8.3 percent jump from the previous report issued in June 2006.